This topic contains 26 replies, has 3 voices, and was last updated by Colin James 1 year, 3 months ago. 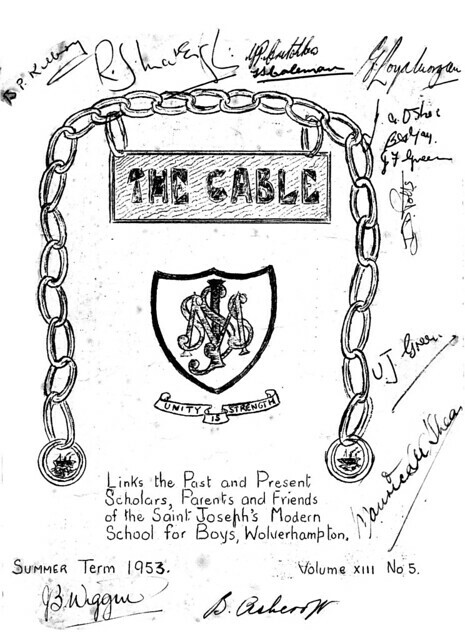 I noticed today there had been 50 or more comments posted on Facebook Wolverhampton Past & Present regarding St Josephs R.C. Secondary Modern School, Adelaide Street, off Steelhouse Lane. Now this was a school I am very aquainted with. 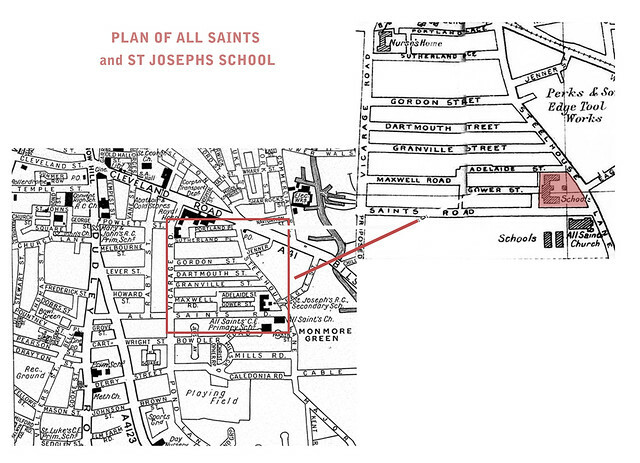 St Josephs was my former senior school from 1948-52. and I have many good memories and many sad ones during my time there. 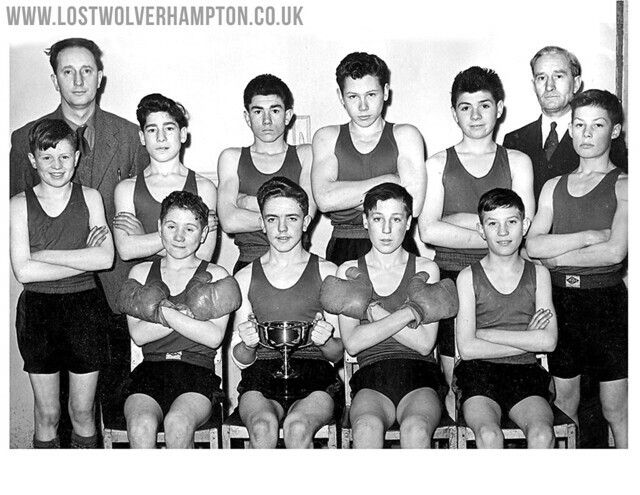 The above photo is Mr McVeighs class of 1949, I am the tall chap at the back. As you can see not many of the pupils could afford the School blazer then, but a little later Caps would become a must have. Does anyone recall our school tailors Albert Williams.then on Snow Hill. I’m still looking for any photos of Joey’s – only one found so far is the side view from Adelaide Street/Steelhouse Lane junction which was from the archives site. Any ideas where we can find more? 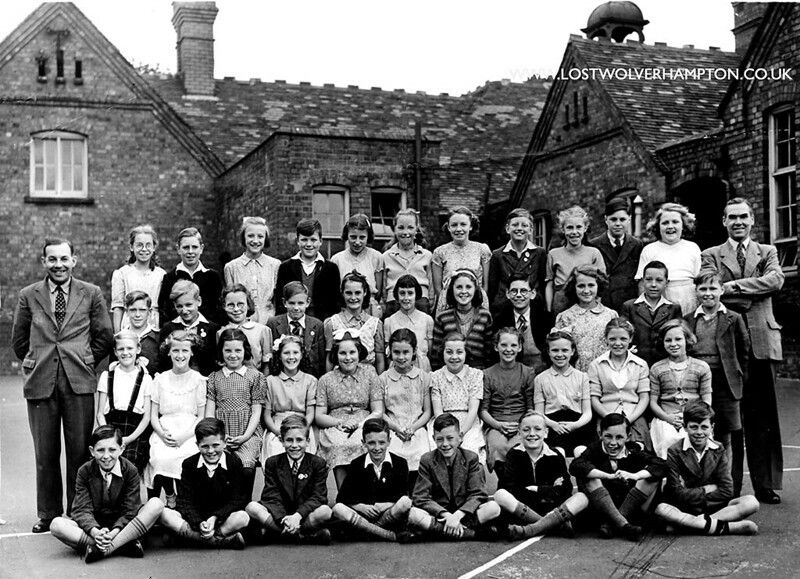 WHERE EDUCATION WAS HAMMERED IN TO YOU IN THE DAYS JUST AFTER THE WAR. 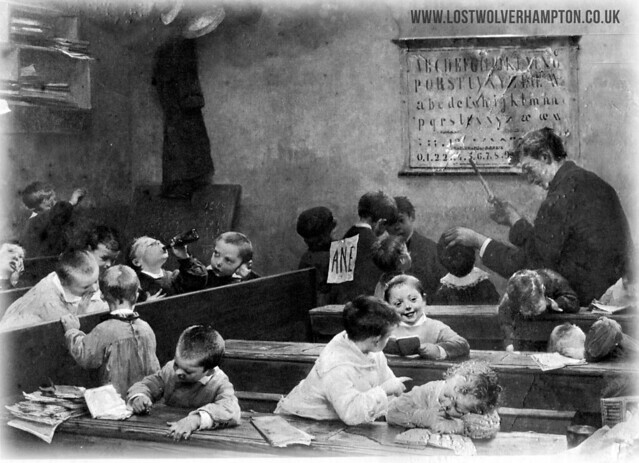 Some of those teacher’s names are familiar to me – McDonagh, Coleman (metalwork teacher, a tough guy and remembered for his trusted ally, Lucifer – his cane), Vincent Green (who I believe passed away only a year or so back). I started at Joey’s the year after Mr Morgan retired in 1963, Mr O. D. Pass was head during my 5 years at the school. It’s quite true life was very disciplined and strict at Joey’s, I had the stick on numerous occasions for various misdemeanours but most of us were taught very well by some very good teachers, I certainly came away from there being numerate, literate, knew right from wrong and had respect for others. I will also be forever grateful to a Mr Evans, he was our music teacher who introduced us to the delights of classical music: Chopin, Beethoven, Mozart and who seemed to be his particular favourite, Sibelius. Doubtless there will be many of my contemporaries who will disagree with my appreciation of Mr Evans’ attempts to educate us about music … But hey ho! Terry in my years at St Josephs Mr Ashcroft doubled up as Woodwork teacher and music teacher. The lads did HMS Pinafore , Pirates of Penzance and Patience while I was there. Can you imagine that with not a girl in sight. What do you think that did to our Street cred. Mind you if you asked any of these old boys from the 1950’s They would tell you they could box a bit. On the right Mr Morgan Headmaster. Wow – not sure if I’ve seen this pic before, Mr Coleman is very recognisable, although in my days he was much thinner on top! Were the 2 Mr O’Shea’s there during your time, they weren’t related – Mr J. O’Shea was the elder, an Irishman who taught English! He could, at times, be a little grumpy and we lads used to wind him up into a fury. The other was Mr M. O’Shea, known to generations of Joey’s boys as ‘The Weed’, he taught maths and occasionally took us for football. He could push, kick and shove anyone but God forbid any boy who kicked him back – I did! Both the O’Sheas were characters and really good teachers, never to be forgotten. A Letter written by E Lloyd Morgan Headmaster 1953. Today we live in a world, were the air is fraught with change; old values have gone; old ideas and customs are in the melting pot, and new ones are challenging their places. The people in the world, are for the most part, the instrument of state policy. Even in settled and victorious countries like our own, their is evidence in plenty, of restlessness and a desire to regain many lost freedoms. This age presents a challenge to us as teachers, for never let it be forgotten, that it is upon the Teachers, that the main burden of building the new world will fall, for it is upon the education of the children the whole life of the community depends. Nobody enters the teaching profession in order to gain riches . It is a calling which appeals most to those, who most desire to serve their generation . Our task is an onerous one, but I am confident that the prevailing note of all of us is one of courage, rather than despondency and our response to the challenge of the age, will lead to success and victory. A Teacher, who must of necessity, be always looking to the future, and who so seldom see the direct result of his labour’s, and for the most part never is rewarded by their recognition, needs faith above all qualities except perhaps the kindred quality of patience . God Bless the dear old School. We shall never go far wrong. We’ll be proud of St: Joseph’s clan. First time I’ve seen those school song lyrics, can’t remember it being sung during my time. Sing boys sing, with a lilt and a swing! All of these young ladies must be in their seventies now, It would be a special treat for me if someone recognised themselves. We have today to Welcome John Thixton our new member from Bilgola, Australia. Thanks for adding me. I was born in Low Hill in 1932, attended Oldfallings Junior school and St Chad’s College leaving in 1948 when my family emigrated to Rhodesia. Went to university in South Africa, worked in Zambia before moving to Australia, My elder brother Derek who attended The Technical High school unfortunately died last year in Zimbabwe. Wonder if there are members of this group who knew us? No sooner had John put his pen down our dear friend John Favil in Winsconsin USA, was quick of the mark with thia reply. John, I am so sorry to hear of the passing of Derek who was a class member with me first at the Intermediate and then the Technical High School when it changed curriculum in 1944 and he like me chose Engineering. 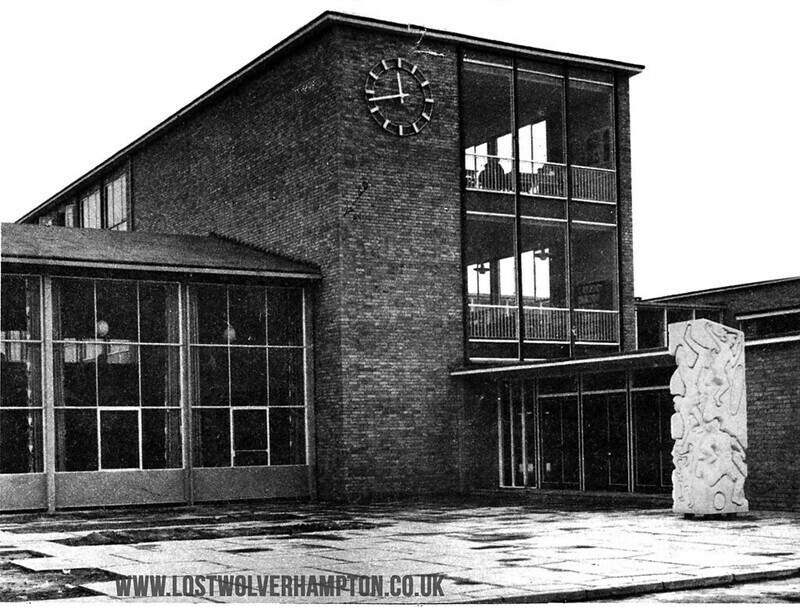 I for one welcome you to this group as I am sure you will find subjects of interest to remind you of Lost Wolverhampton and our shared memories guided as we are excellently by Billy and Daniel Howe. Fortunately I had decided to visit Africa on my way to Europe in June last year in order to see Derek. 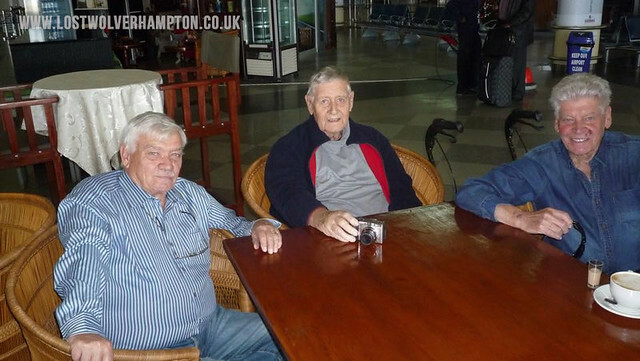 This picture was taken at Harare airport just before I left in mid June. 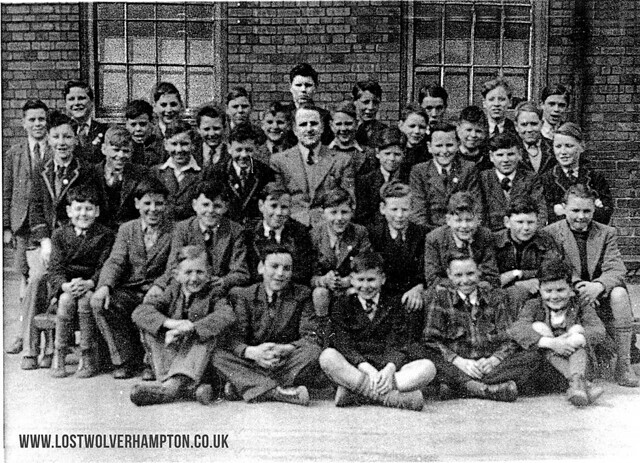 The 3rd person in the picture on the left is younger brother Mike, also born in Wolverhampton (16 Copes Crescent, Newbold Estate) in 1942 during the war. This is probably the last picture of Derek before he died in August. The house is approached from Oldfallings lane by two carriage drives with one entrance Lodge a total of 11 acres 1 rood 9 and a quarter perches. 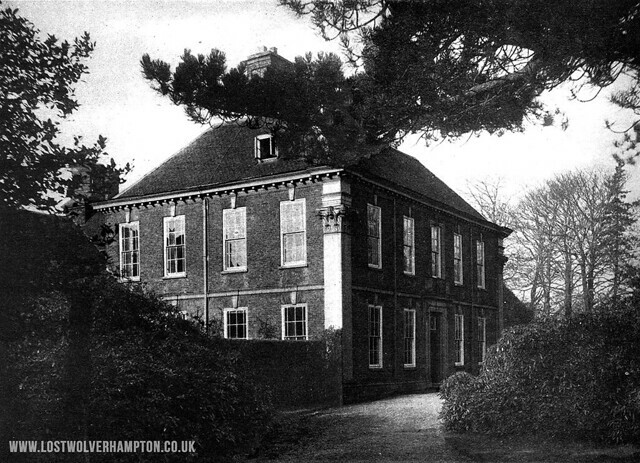 In 1916 the hall was offered for sale by the Paget family, and was finally sold in 1925 and became St Chad’s College a Catholic boys school until 1977, when its status changed to a mixed comprehensive school. In the foreground though is a sculptured pillar designed and executed by J.Paddison. Can you recall what the name given to the sculpture. Part of Philip Barnands Most interesting comment. I do not recall your wife’s name, though of course I was a pupil at Woden R’oad Infants and Junior school. I may have started a bit late, at the age of 5 in September 1944, because I had some catching-up to do, eventually becoming the youngest in my year. One of our class photos appeared in the Black Country Bugle. I think Swinford Road had semi-detached houses? A sure sign of affluence! Does your wife remember the Blood family, whom I think lived in Stratton Street, maybe Prosser Street? They were a large family and Mrs Blood seemed to be permanently pregnant. I once embarrassed my mother in Bray’s Park Village butcher’s shop, when I asked her why Mrs Blood’s tummy was so big. I was told to keep quiet! Woden Road circa 1950? My wife isn’t on this photo but my cousin Janet Nickolds from Old fallings is.